Traveling. We love it.  It is something that has become a big part of our lives as a family and something that will continue to be part of our lifestyle. Seeing new places, meeting new people, experiencing different cultures, and having our lives touched by these experiences in a way that could have never been possible otherwise is what travel, to us, is all about. But here’s the thing…it takes a heavy toll on your skin. Lack of sleep, change in temperature, cabin pressure, UV damage, and even the air conditioning can all, when it comes to long term, have a serious impact on your skin. Flying in and of itself presents an environment that can damage your skin. 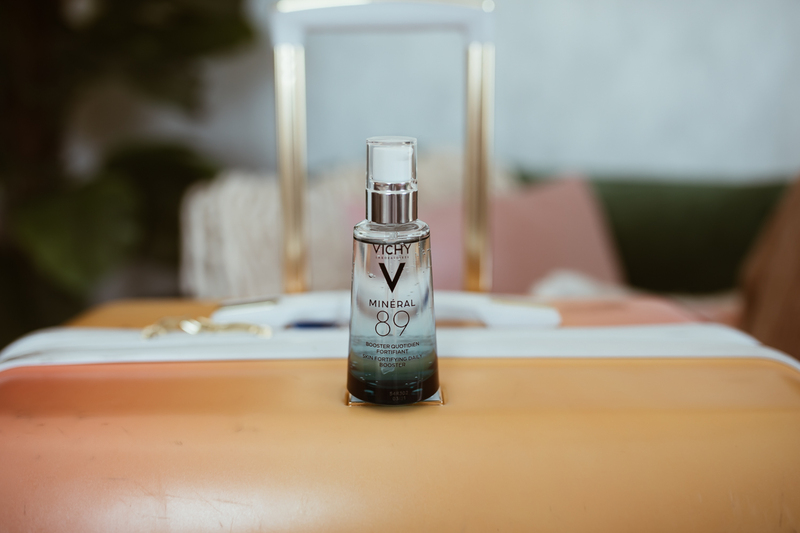 Well, luckily for us, and for all of you, Vichy, the #1 anti-aging skincare brand in European Pharmacies, has taken action to combat the effects of travel on your skin by bringing Mineral 89 to the market to help protect your skin from daily aggressors…especially while traveling. Get this, Vichy took the time to speak with the most frequent flyers of them all: flight attendants and pilots. After trying Mineral 89, 9/10 flight attendants would recommend it and 7/10 cannot live without Mineral 89 in their daily routine moving forward. Those are some powerful numbers! 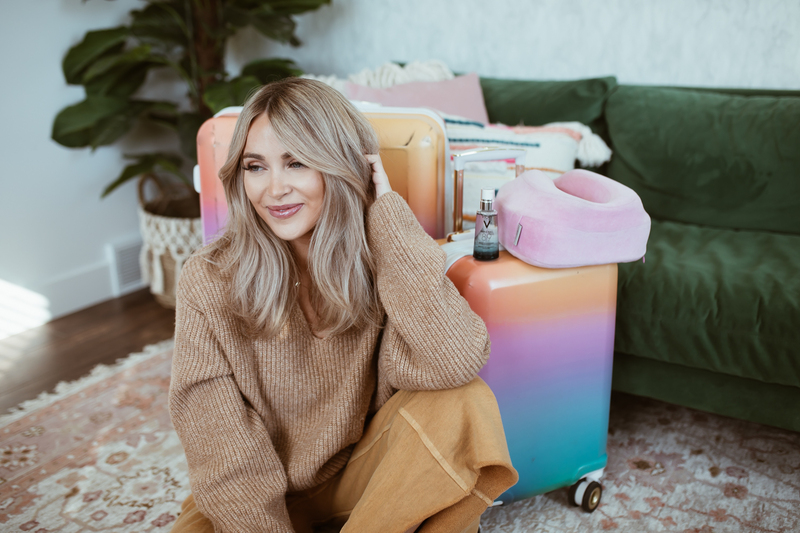 As one who has been using Mineral 89 for awhile now, I can say just like those flight attendants surveyed, that is a must-have product in my daily skincare routine, and in particular, a must-have when it comes to protecting my skin while traveling. 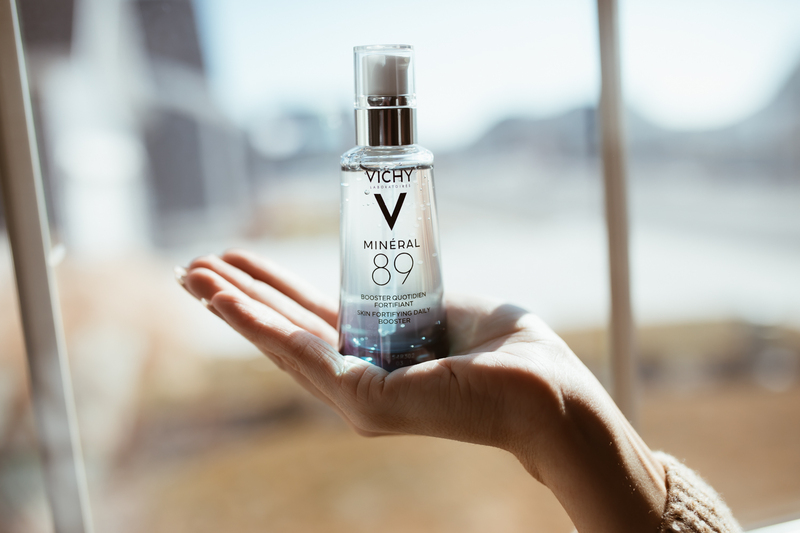 Mineral 89 is comprised of 89% Vichy Mineralizing Thermal Water which is uniquely rich in 15 minerals clinically proven to fortify and protect your skin from environmental aggressors, like fatigue, stress, and pollution. All of which are amplified when traveling. Not only does it strengthen and protect my skin, but the natural origin Hyaluronic Acid in the formula leaves it feeling plump and hydrated as well. Even better, it’s 100% paraben-free, fragrance-free and has a clean formula with only 11 ingredients! For those of you that travel often, this product is an absolute no-brainer. I use it as my first step in my skincare regimen/routine and have seen firsthand the positive results in my skin from doing so— my skin is glowing, hydrated, and healthy. If you haven’t checked it out, do so here, and if you are traveling any time in the near future or if you are a regular traveler, go snag some and try it!! You will fall in love! Thanks to all of you for following and I hope you have a wonderful day! !